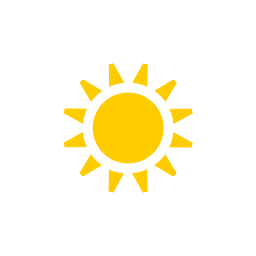 Weather in Fuerteventura in may 2019 - Climate, Temperature, Where to go? Fuerteventura in may: average Weather, Temperature and Climate, Where to go? How is the climate in Fuerteventura in may? Is it a good time to go to Caleta de Fuste and Corralejo? Check this with weather datas and our opinion on this page. Below, check out the weather forecast for the month of may for most popular cities in Fuerteventura. These datas are probabilities for the month of may from weather reports for over 10 years. The percentage indicates the probability of having the weather mentioned. Thanks to average temperatures ranging between 19° C and 23° C and virtually non-existent precipitation throughout the month, the climatic conditions in Fuerteventura are one of its main assets. It is quite normal that people in search of an island paradise come to recharge their batteries. In fact, the climate throughout May in Fuerteventura lends itself to relaxation in the sun and the practice of all kinds of activities (even nocturnal ones), in the open air. During the first ten days of the month, the weather throughout May in Fuerteventura is close to ideal. The heat is comfortably fresh, just one hour after daybreak. The thermometer displays values around 19° C. Moreover, the clear sky presages a beautiful and luminous day. Even if the clouds make a few appearances, they disappear quickly enough to let the blue of the heavenly vault burst through. Thus, every day presents a great chance to spend quiet moments relaxing or having fun. In mid-May, the heat rises one notch. The thermometer indicates around 23° C. This provides a feeling of incomparable thermal comfort. One can even stroll in summer clothes from dawn until late in the night. Unlike the first ten days that are favored by a clear sky, the middle of the month is characterized by a more frequent cloudy covering. However, the weather in Fuerteventura throughout May allows to spend unforgettable moments. The rest of the month, the climatic conditions degrade slightly: the sky is covered more often with thick clouds and the mornings become morose. It is necessary to wait until the middle of the morning to see the sky clearing and reveal its wondrous blue. Expect a slight drop in temperatures. Where to go in Fuerteventura in may? Where should you go in Fuerteventura in may when it comes to the weather? The climate in Fuerteventura in may ranges from perfect to good depending on the region and city. On the month of may the weather is just perfect in Fuerteventura, but partially because it concerns only the cities of La Pared, Costa Calma, Caleta de Fuste, Morro Jable, Cofete, Pajara, Tuineje and Gran Tarajal. In this part of the country, the conditions are right to live fully your trip: the sun is here, it rains very little and the humidity is endurable. It is therefore the ideal month to travel to these cities! However, the weather is good in El Cotillo, Antigua, Corralejo and Puerto del Rosario. Around here, temperatures are still pleasing and allow you to visit - and why not do a bit of sunbathing in the sun! In may, maximum temperature is 23°C and minimum temperature is 20°C (for an average temperature of 22°C). The climate is quite good here in this month. It's raining really exceptionally during the month of may. You will be well dry during your trip! With good weather conditions, the month of may is a good month to go in this city in Canary Islands. In may, the mean temperature in Corralejo is 22°C (maximum temperature is 23°C and minimum temperature is 21°C). The climate is quite good in that locality in this month. It does not rain (or really exceptionally) during the month of may. You stay dry throughout your stay! With a good climate, may is an advisable month to go in this city in Canary Islands. In the month of may, maximum temperature is 24°C and minimum temperature is 21°C (for an average temperature of 22°C). The climate is pleasant in this city in may. It's raining really exceptionally during the month of may. You will therefore be at the shelter from rain for your vacations! With a perfect climate, may is an advisable month to go in this locality. In the month of may, the mean temperature in Gran Tarajal is 22°C (maximum temperature is 24°C and minimum temperature is 21°C). The climate is quite enjoyable in that area in may. It does not rain (or really exceptionally) during the month of may. You stay dry throughout your journey! With ideal weather conditions, may is an advisable month to go in this city. In may, maximum temperature is 24°C and minimum temperature is 21°C (for an average temperature of 22°C). The climate is quite good around this city in this month. It almost never rains during this month. You will be well dry for your trip! With ideal weather conditions, may is a recommended month to go there. Weather data for Fuerteventura in may is derived from an average of the weather forecast since 2009 in Fuerteventura. There is a margin of error and these forecasts are to be considered as general information only. The weather in Fuerteventura can vary slightly from year to year, but these predictions should limit surprises. So you can pack your bags and check when is the best time of year to visit Fuerteventura.